SHE HAS A SONG, my new blog, merges three passions: portrait photography, oral history and writing. I am celebrating the gifts and endeavors of women and girls in my life. Many women helped pave the road to where I am now. I have sweet memories from childhood of my mom, sister, loving aunts, girl cousins and the nuns at my Catholic school. My role models were nurses, teachers and full-time parents. My future was brilliantly redirected with the help of a young attorney who worked in my town for a few years. I babysat her kids and we brainstormed scenarios I never would have dreamed up on my own. No one in my family had gone to college, but I left Butte, Montana, a tough mining town, and studied at Vassar, a top-notch school, founded because Matthew Vassar insisted that the capabilities and contri-butions of women are as essential to our existence as are those of men. 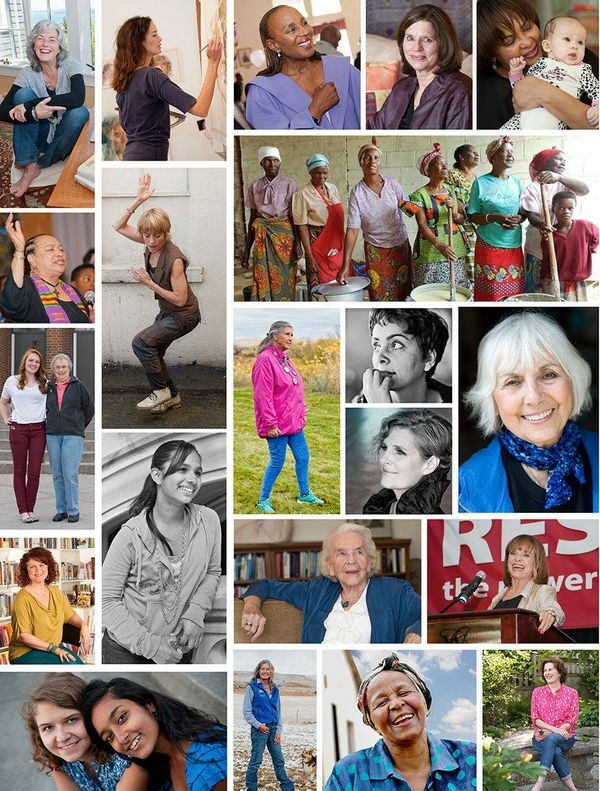 I am a professional photographer, wife, and mother, and I am a feminist.The free-dom women enjoy to design our personal destinies is possible now because in previous decades strong women and a few men who called themselves feminists courageously expanded the boundaries of women's lives. I owe a huge debt tc those who worked so very hard and I love identifying with such visionaries. My story may sound old-fashioned when women are jetting around the globe in a myriad of capacities, yet in 2014 in the U.S. women are much more likely than men to be clustered in just a few occupations that are female-dominated.These jobs pay less than male-dominated industries requiring the same skills. Women make up the majority of minimum wage workers and women who are secretaries, nurses, teachers and cashiers still earn less than men. I've fretted that maybe my project is outdated, but I hope by calling attention to inner strengths rather than helping perpetuate our absurd obsession with physical perfection, whatever that means, the stories of my women will remind us all that discovering the work we were meant to do in the world is gratifying and planet-sustaining. We are most beautiful when we are engaged in undertakings that feed the soul of the world. Throughout our human history, the lives of women have rarely been heralded or even included. Let's change that!